To boil milk. To add to boiling milk of katyk (type of soul-milk product) and continue boiling to formation of qort. Qort it is necessary to boil to turning red, after to add sugar and take to the state when all liquid will boil away. To lay out the prepared qort on separate tableware to cool. A cold qort is given with a dairy butter. It is possible to take curds with addition of milk and boil to formation of qort. For the protracted storage a qort can be dried up in a stove, to the oven or in the sunshine. Kefir to infuse into in tableware and put on a strong fire. When a liquid will boil away, a fire needs to be decreased and continue to boil at the continuous stirring. Mass becomes yellow, moisture evaporates and a qort remains as yellow grains. 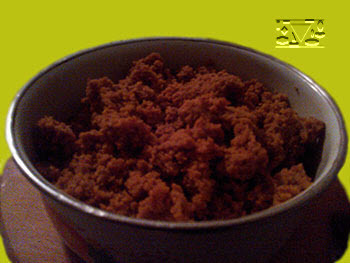 The prepared qort can be used for filling in Gubadija, and also to eat with dairy butter, honey. If a qort prepares for Gubadija, then in him it is necessary to add sour cream or dairy butter (melted), sugar, all to put on a fire and it is good to mix. Thick homogeneous mass which can be used for filling turns out.